Commercial office movers must bring specific attention to the needs and requirements of each business. In brief, our objective at All Around Moving is to accomplish each office move within New York with speed, attention to detail, and efficiency. Particularly, we take pride in providing minimum business disruption. Therefore, by providing our customers a stress free experience we become their go-to commercial office mover of choice. All Around Moving is always ready to serve! Moving Office file boxes and other commercial packing materials. Moving Supplies for works of art and other delicate items. Special Wood Crating and storage furniture needs. Additionally, we arrange for the proper insurance needed. Please fill out this move quote form. You may call us directly at 212.781.4118 to speak with a company representative. All Around Moving accommodates every request for your residential move to NYC. Accordingly, we don’t stop until the move is completed without delay of delivery or damage. We pride ourselves on the quality of our services and customer care. Our assigned skilled movers oversee every phase of your NYC residential move. Firstly, we assess furniture, fixtures, valuables, and accessories of your home. Secondly. we determine transportation and personnel needed for traveling. After, we draft a proposal for residential moving services. For example, price, equipment, personnel, transportation, packaging, and shipping materials. Additionally, we consider the time required for pickup and delivery. Then, arranging insurance and documentation for the move to Baltimore. Next, we coordinate inventory of all furniture, fixtures, valuables, and accessories. Finally, we unload, arrange, and assemble furniture and fixtures to your new home. Brooklyn: 11212, 11213, 11216, 11233, 11238, 11209, 11214, 11228, 11204, 11218, 11219, 11230, 11234, 11236, 11239, 11223, 11224, 11229, 11235, 11201, 11205, 11215, 11217, 11231, 11203, 11210, 11225, 11226, 11207, 11208, 11211, 11222, 11220, 11232, 11206, 11221, 11237. Queens: 11361, 11362, 11363, 11364, 11354, 11355, 11356, 11357, 11358, 11359, 11360, 11365, 11366, 11367, 11412, 11423, 11432, 11433, 11434, 11435, 11436, 11101, 11102, 11103, 11104, 11105, 11106, 11374, 11375, 11379, 11385, 11691, 11692, 11693, 11694, 11695, 11697, 11004, 11005, 11411, 11413, 11422, 11426, 11427, 11428, 11429, 11414, 11415, 11416, 11417, 11418, 11419, 11420, 11421, 11368, 11369, 11370, 11372, 11373, 11377, 11378. Discover our unique prices compared to other moving companies in New York. 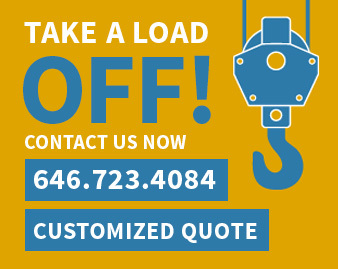 Get a moving quote specifically tailored to your moving needs by calling us TODAY!